Oh my gosh. I feel like I have waited FOREVER to read the conclusion to this series. I was so excited to finally get my hands on a copy, and HAD to read it straight away. I needed to know what was going to happen, and who America was going to pick. Maxon or Aspen? Maxon or Aspen? Hell, even I didn't know who I was going to pick myself! This book was just PERFECTION. Everything wrapped up so well! So much happened and some unexpected things happened too. I was gushing, in shock, angry and sad at so many different points. This book is definitely my favourite in the series. God, it was just amazing. Even now I find myself thinking about the book and everything that happened in the entire series. I think - in all honesty - it will remain with me forever. Not many books have affected me in such a way. This book definitely deserves a medal. The general storyline to this book was so good. So much happened: the rebels, the friendship between the final girls in the competition, things that affected the families, and some characters making the right decisions. It contains a fantastic distopian world. America was a little reckless at times; just like in the other novels in the series. However, she developed and blossomed into this beautiful swan that people admired and wanted to be. Even I myself am jealous and would love to be in America's shoes (I mean, those gowns <3 ). I previously read the novella The Guard before reading this, so I had both a love for Aspen and Prince Maxon. So much that I just couldn't choose between them. Both were great people. Aspen did have a heart and cared so deeply for others. And Maxon...because he's handsome, a prince and has wealth. He also has a way with words. He can literally make you melt and fall in love with him. There were times when I was annoyed at Maxon. He was just such a player with all the other girls. But then I did find a reason behind him being like that. I won't spoil you on that as I want you to read and find out for yourselves! This book had me feeling all sorts of emotions. I was laughing, crying, happy, full of sadness and in suspense. I was literally on edge. I honestly couldn't put the book down. I don't often sit and read a book straight in one sitting, but with this one, I did just that. Full of twists and turns; I promise you won't be let down. Kiera Cass is fantastic in her writing. She definitely captivates you. The story is written in first person, and the chapters have a decent length. The beginning of the book caught my attention; I was straight into the story. The ending was just full of bliss. 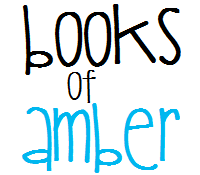 It was so perfect that it had me gushing, and I just wanted to shout to the world that I had read a fantastic book. This book definitely deserves the rating that I gave it, which was an Ultimate Katie Star (5/5 stars). I can't believe the series is over. I just can't. 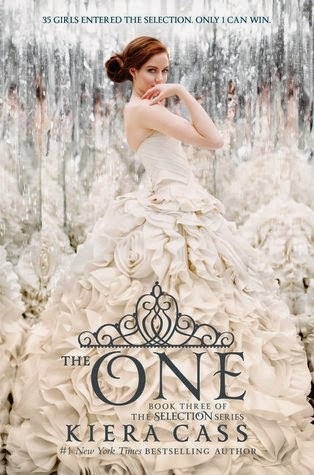 I want the whole world to read The Selection series. It will forever remain one of my favourite series. I will hold it in my heart forever.